For more than a decade, the homegrown Angkor Car has hinted at a future free from the gas-guzzling SUVs on Cambodia’s crowded streets. But despite a glamorous launch in 2013, the Kingdom’s first electric car seems to have stalled at the starting line. 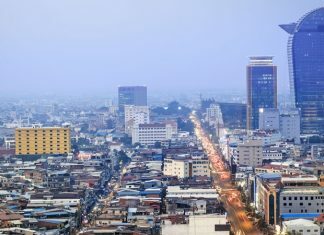 It’s often said that there is no silver bullet for the world’s worsening environmental crises, so it’s probably just a coincidence that Cambodia’s first electric car looked virtually identical to one. 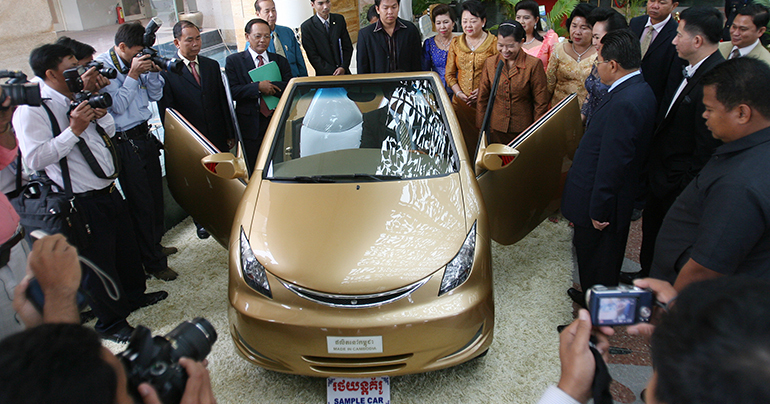 The shining new Angkor Car EV 2013, sporting sliding – if somewhat shaky – scissor doors, fingerprint-activated entry and a retail price coming in somewhere just south of $10,000, was unveiled in a Phnom Penh showroom on the auspicious date of 7 January, the anniversary of the defeat of the Khmer Rouge regime more than three decades earlier.